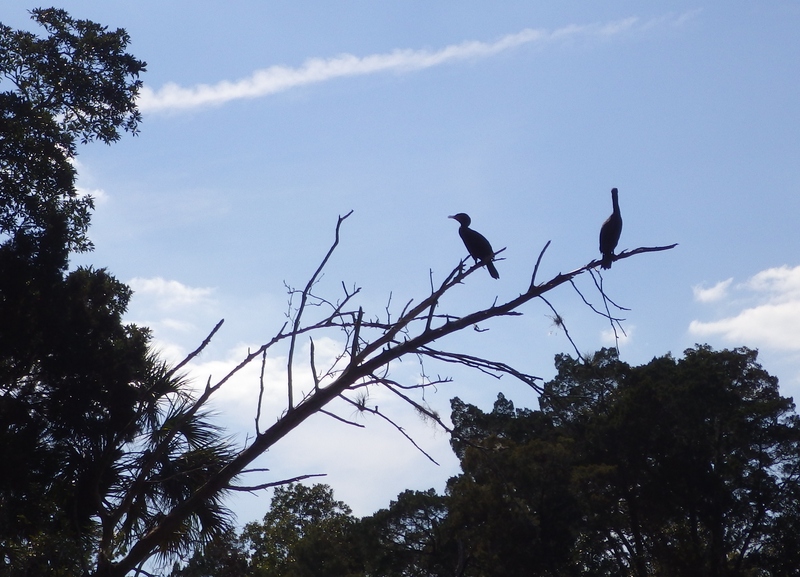 …..or Birds of Many Feathers. 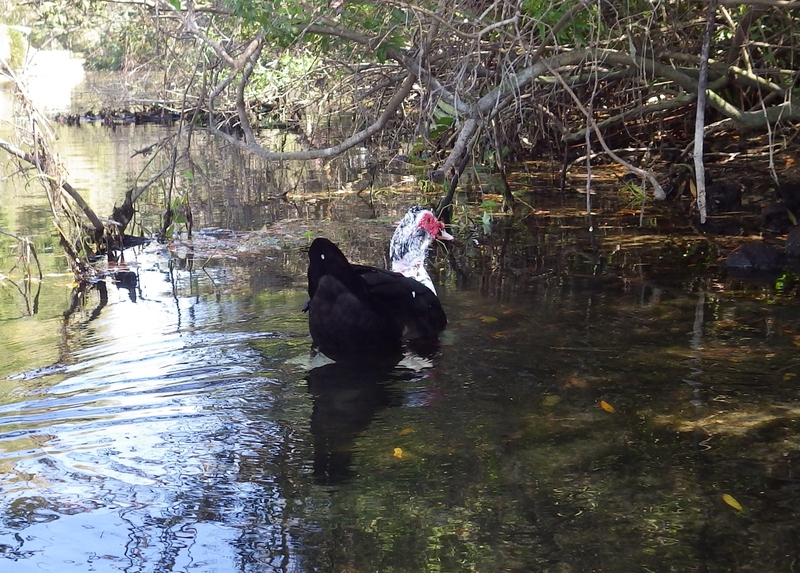 As promised here is a selection of birds we saw on our recent paddling excursion on the Chassahowitzka River on the Florida Gulf Coast. 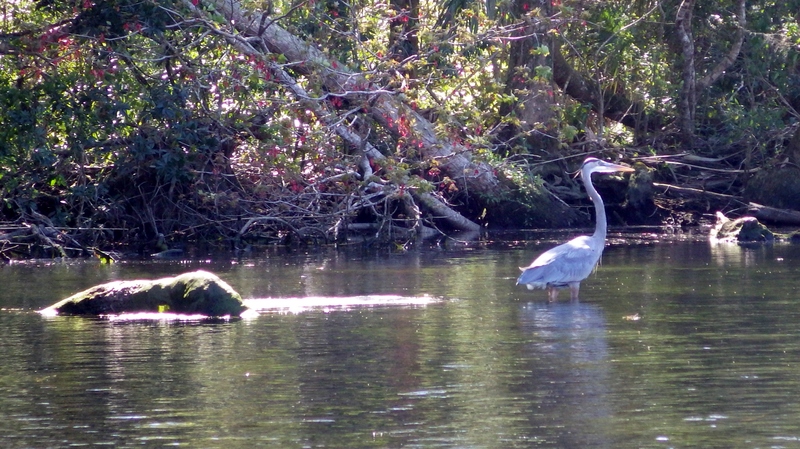 These are the bigger guys; there were thousands of songbirds in the neighbourhood but they were well camouflaged, very busy flitting about, and not as visible while paddling. Seemed like every bare branch we passed had a bird clinging to it. 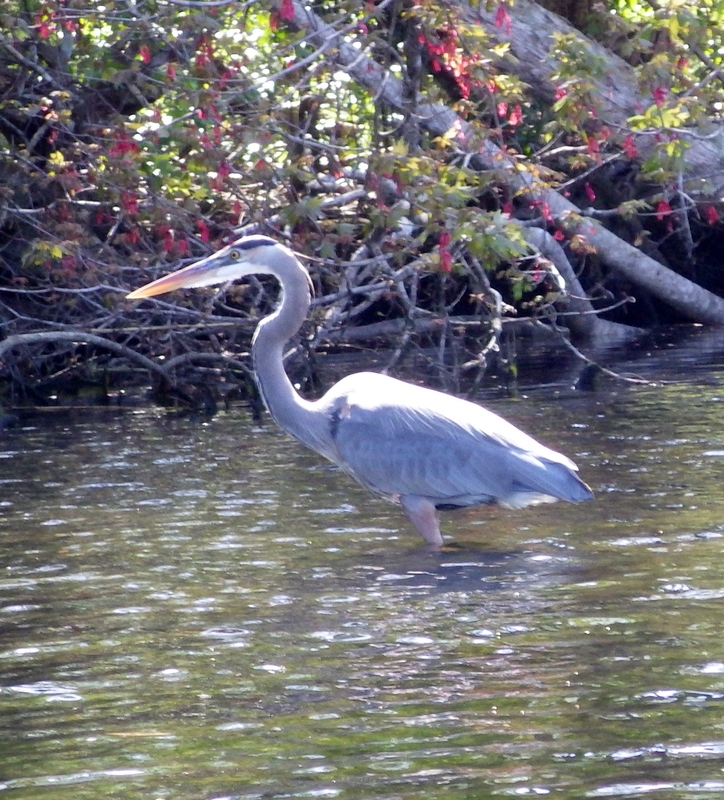 The first bird we saw was not a wild one. At least I think it was not wild. The tame ones have more white but please correct me if I am wrong. Your classic pelican. 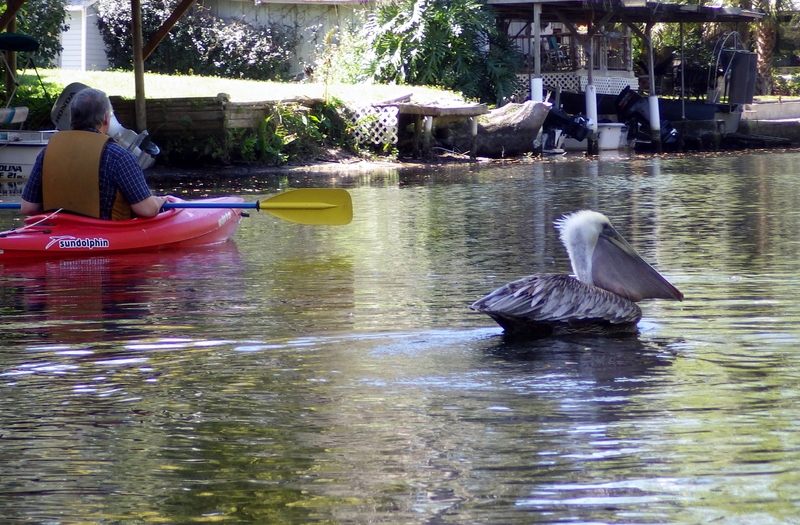 I don’t think that Lance was aware that this guy was paddling along with him. 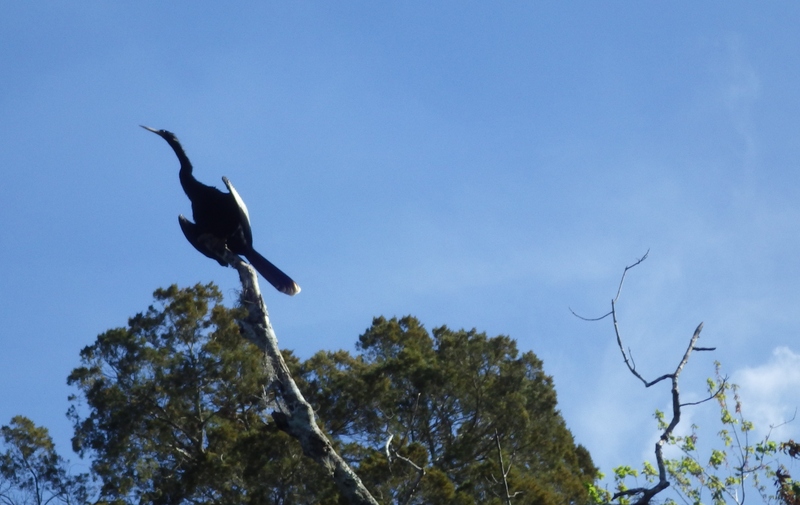 A regular old run of the mill cormorant. 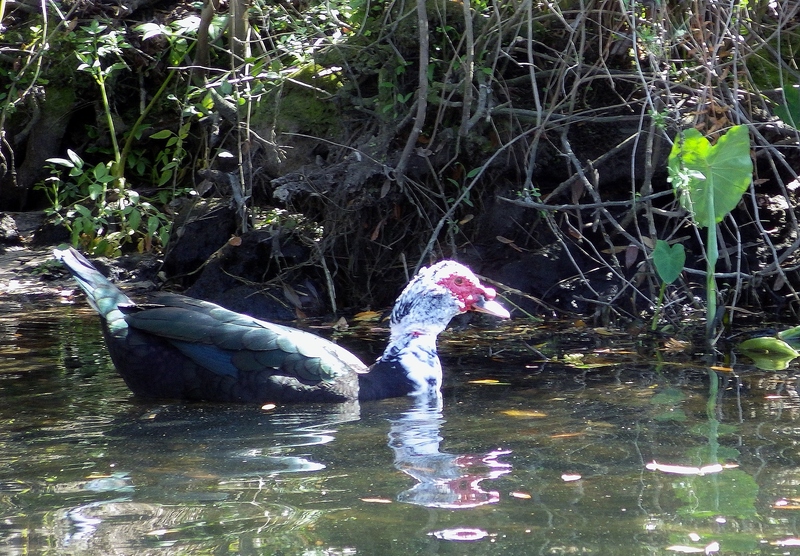 We called them shags in Newfoundland. 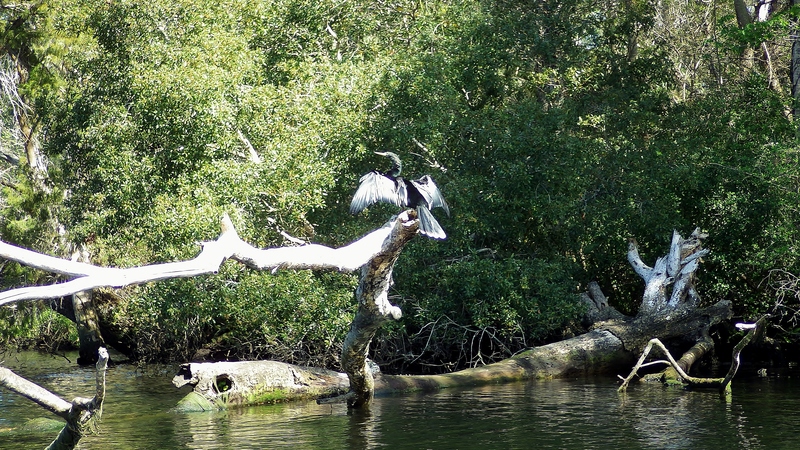 A fancy shmancy cormorant airing his pits. 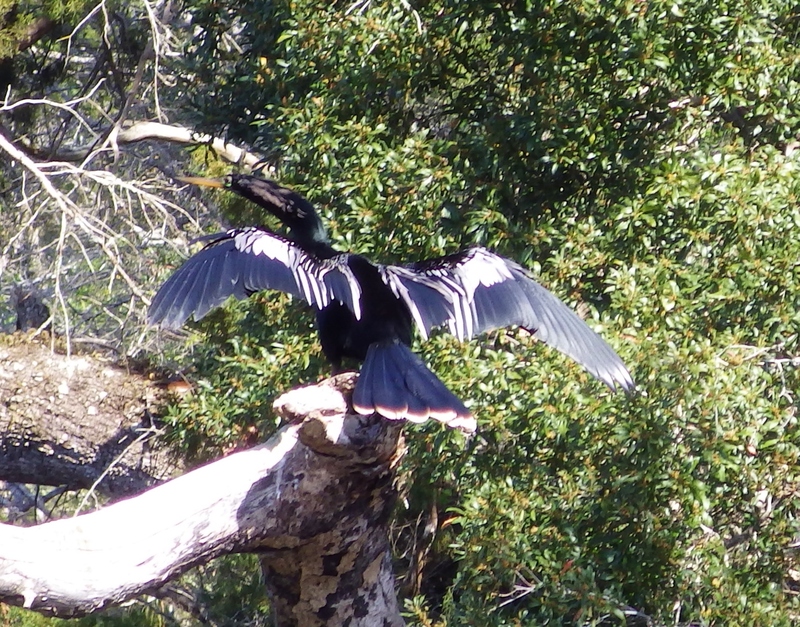 Actually I think it might be an anhinga. 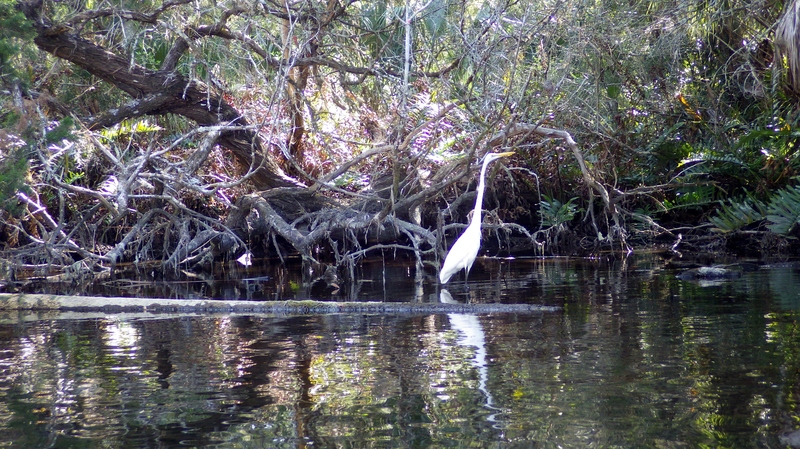 I love the egrets – we see them everywhere here. So elegant.